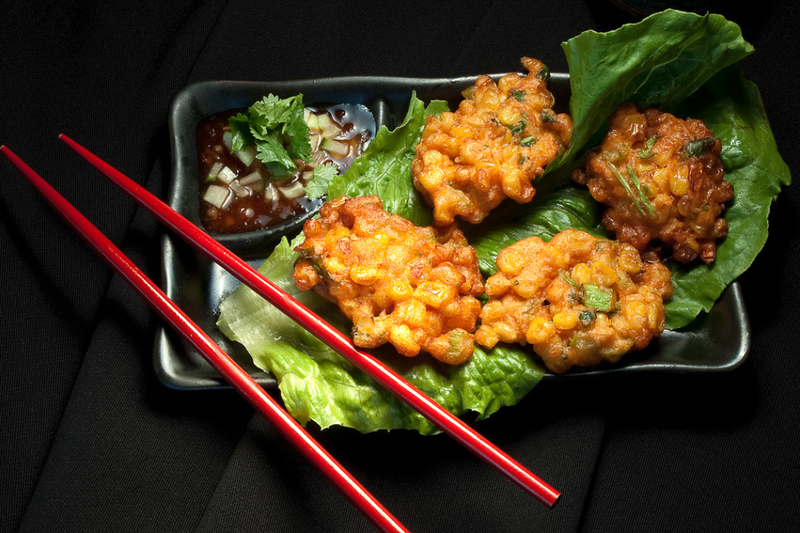 Deep fried in a tasty batter and served with sweet vinegar sauce — crunchy and delightful! 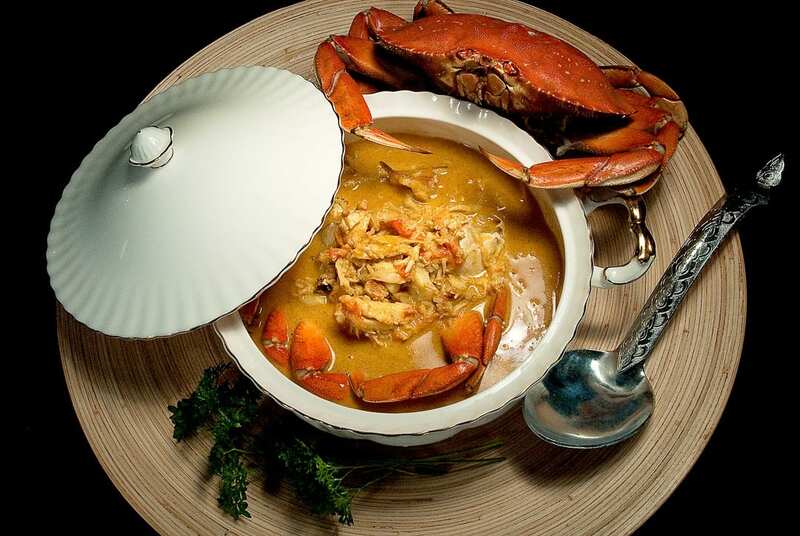 Fresh from the sea, crab is steamed and served with creamy coconut curry sauce. 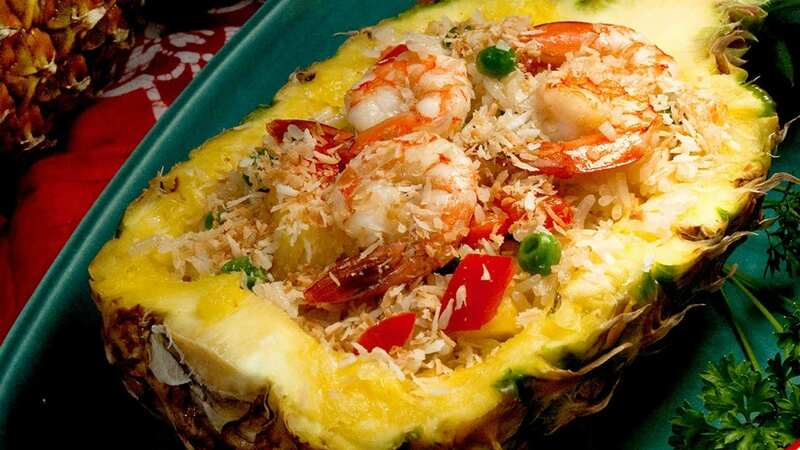 Served on a half pineapple, a delicious mixture of rice, chicken and cashew nuts. 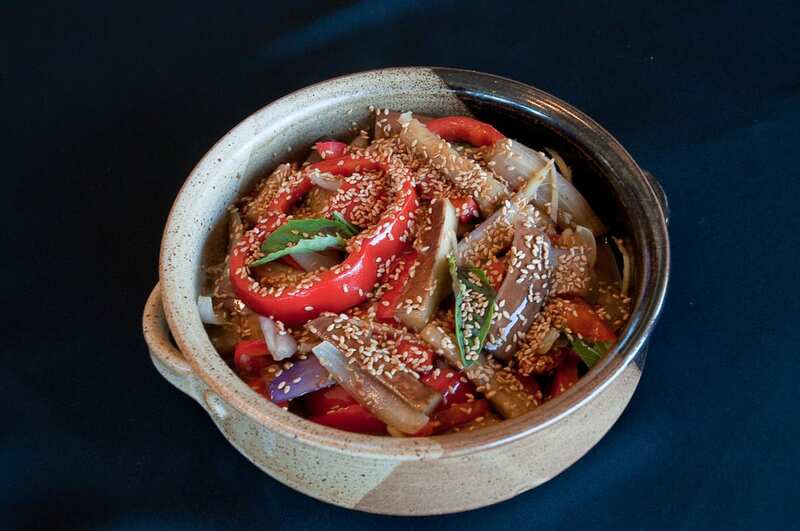 Stir-fried with black bean sauce and spiced with chili garlic sauce. 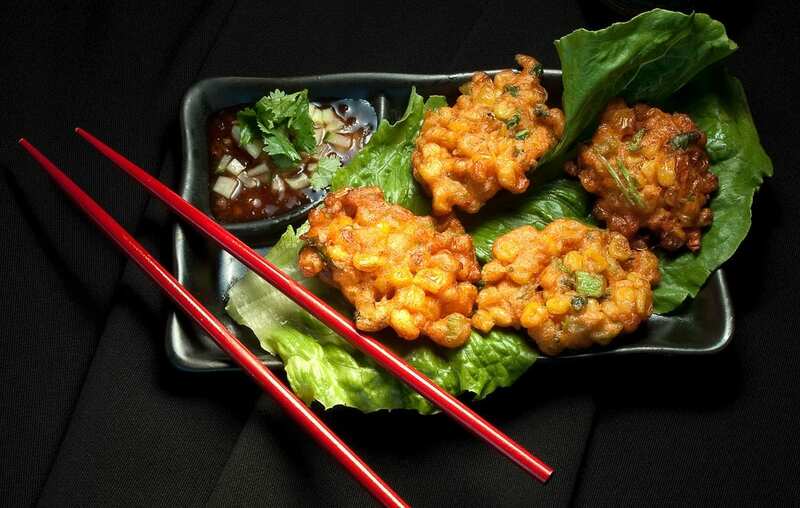 A Thai delight! 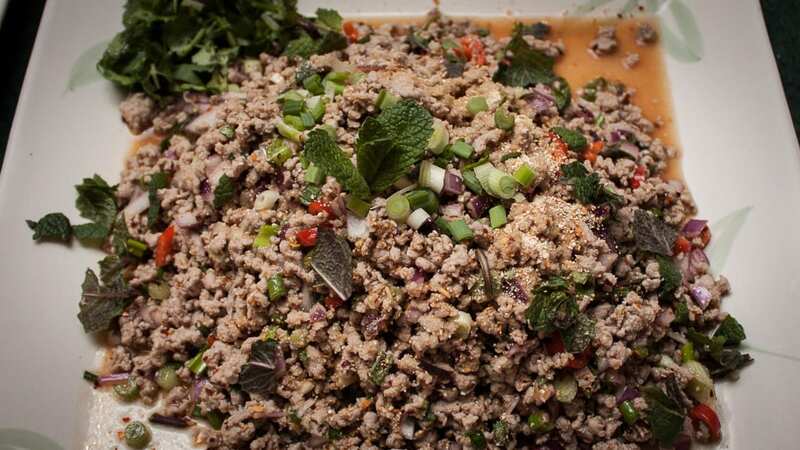 Larb Moo, as the Thai call it, is a delightful accompaniment to chilled beer or wine on a hot night.